Here are a few workshops that have been held and that we can customize to your needs. Please call and I can create a workshop that fits your needs for. Age related to fit skills. 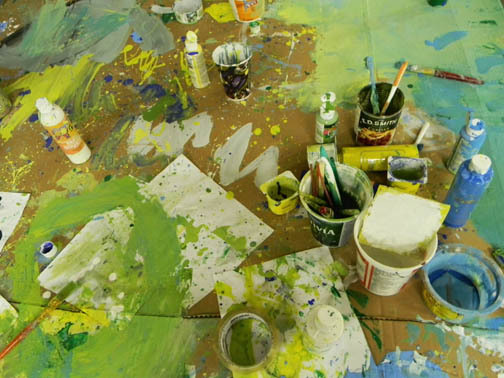 The arts lead to higher test scores in the classroom. Self-esteem increases when a child feels confident in the classroom. Skills learned from studying the arts including concentration and dedication, affects classroom values and test scores. In fact, a 2005 Harris Poll found that 93 percent of Americans agreed the arts are vital to providing a well-rounded education for children. In another 2009 study, 12 years of data was collected for the National Educational Longitudinal Survey to look at the effect of education, visual, and performing arts on the achievement and values of children. The study found that students who were highly involved with the arts outperformed less-involved peers, even within low socioeconomic groups. Visual arts and music, in particular, helps provide children with improved classroom skills, including critical thinking, creative problem solving, team work, and effective communication. Nurturing talent with artistic pursuits. Elliot Eisner, a professor of education at Stanford University, offers a deeper understanding of the role of the arts in a child’s life: “The arts teach children that problems can have more than one solution and that questions can have more than one answer. The arts celebrate multiple perspectives. One of the large lessons kids can learn from practicing the arts is that there are many ways to see and interpret the world.” Dr. Eisner’s view that the arts can be about problem solving leads us away from the idea that children’s art is only about making aesthetically pleasing objects or providing entertainment, and gives a parents a way to help children be more innovative in very simple, yet powerful ways. Creative thinking and reasoning, have been identified as an essential twenty-first-century skill by many business, education, community and government leaders. As our children grow and develop, introducing them to the idea that the arts involve creative problem solving will teach them how to manage frustration, uncertainty and ambiguity with innovative ideas and solutions. Through the arts, our children can learn how to express their unique identities, while simultaneously developing habits of mind that will help them succeed anywhere, from the playground to the workplace. Register soon as space is limited to each workshop. There will be an art show on the last day, at the end of the week, of the art that has been created by everyone. Andrew has taught this sold out workshop at Loyalist Collage in the past, and also at Prince Edward County schools. This was a great Workshop, we all had fun and learned a lot. 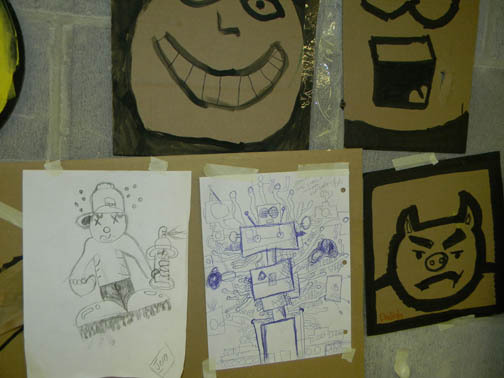 If you have a group of kids I can create another Graffiti workshop like this again. ​Give me a call and we will make it happen! Art all day, drawing caricatures, cartoons, dragons, super heroes, cool lettering, 3D lettering, scribbling just for fun, big marker art. We will be doing a ton of fun drawing in your sketch book, improving every minute of the day, there is no better feeling when it comes to your art. Casual and fun. Urban art is just one style we will be doing it is a form of artistic expression which has matured into an exciting and commercial form of graffiti. You will learn the how-to basics using various mediums including markets, acrylic paints and air brushes. 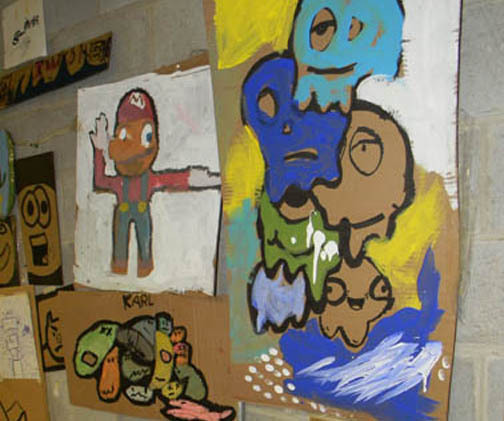 This part of the class includes the history of graffiti art and profiles successful graffiti artists while illustrating how they utilize their talent. I emphasize the important distinction between graffiti as an urban art form versus an act of vandalism. "Vandalism is never cool! " Also, learn the techniques, understand the culture. I can develop a workshop that fits your needs and the needs of students.